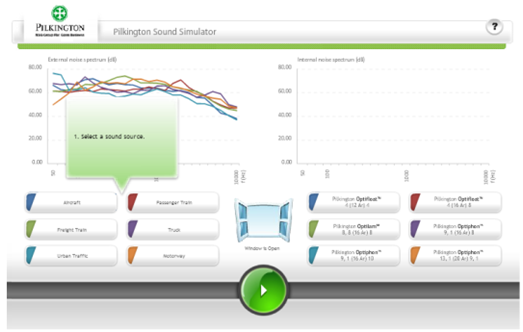 With traffic and noise levels predicted to increase within the coming years, we have developed the Pilkington Sound Simulator to help people select the most appropriate types of glazing, for every kind of commercial or residential property. With functionality that enables testing of noise control glazing, the online tool highlights the benefits of Pilkington Optiphon™ versus standard float glass. To access this tool please click the image above. 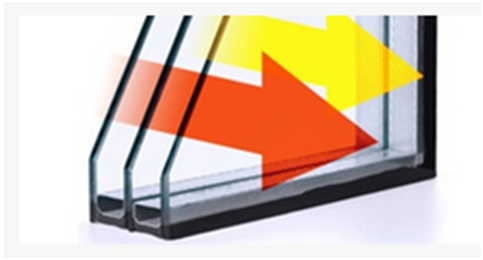 Pilkington Specifire is an easy way to select the correct Pilkington glass for your fire-resistant applications. From Pilkington Pyroclear® and Pilkington Pyrodur®, to other fire resistant glazing, this tool provides tailored responses to meet individual requirements. When accessing this tool you’ll be given the details of the glass that best suits your build, together with a link to the corresponding fire test summary, where available. To access this tool, please click the image above. Pilkington Spectrum is a windows-based glass performance model which enables you to quickly and efficiently calculate key properties of insulating glass units (IGU),without the need to construct and measure them. To access Pilkington Spectrum for the first time, you must go through the registration process. Once you have registered, you may use it freely without having to register again. To gain access to all these tools, as well as access to exclusive content and features not accessible via our main website, specifiers and our trade customers, can head to the Pilkington website to sign up for MyPilkington to use features such as live chat and sales support.